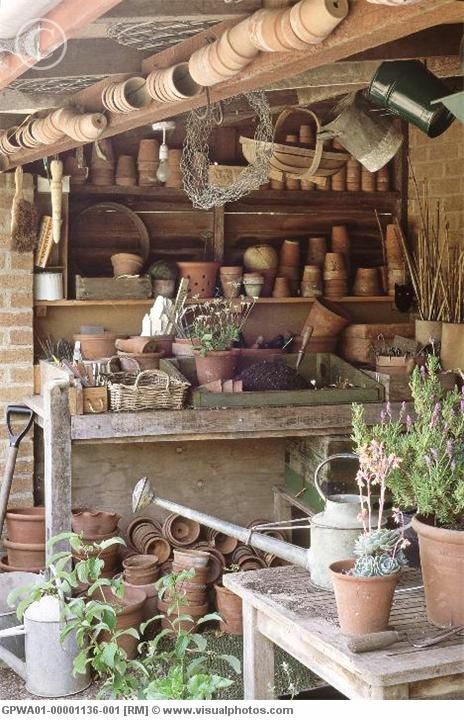 Okay, well I don't actually have a potting shed of my own, but a girl can dream, can't she. 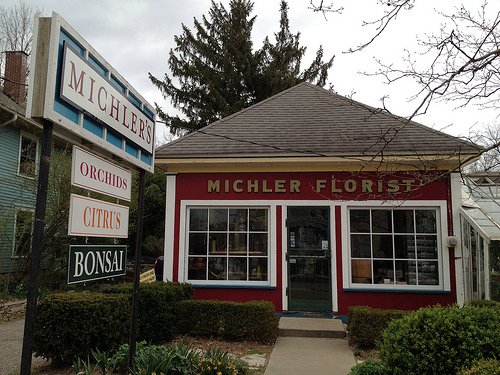 As a child I spent many happy hours at the florist and greenhouses that my grandfather started in the early 1900s. My mother grew up in the house next door, which you can see a glimpse of to the left. My cousin's family now runs the business and lives in the house, but I retain wonderful memories of carefree days playing in the greenhouses and sitting with my grandfather in the old potting shed in the back. It is where my love of gardening was born. 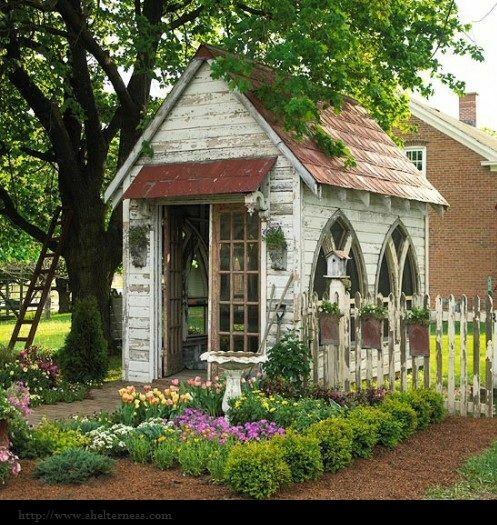 These days I diligently pin garden shed inspiration in hopes of one day having my own. Love the tiny old church feel of this one. 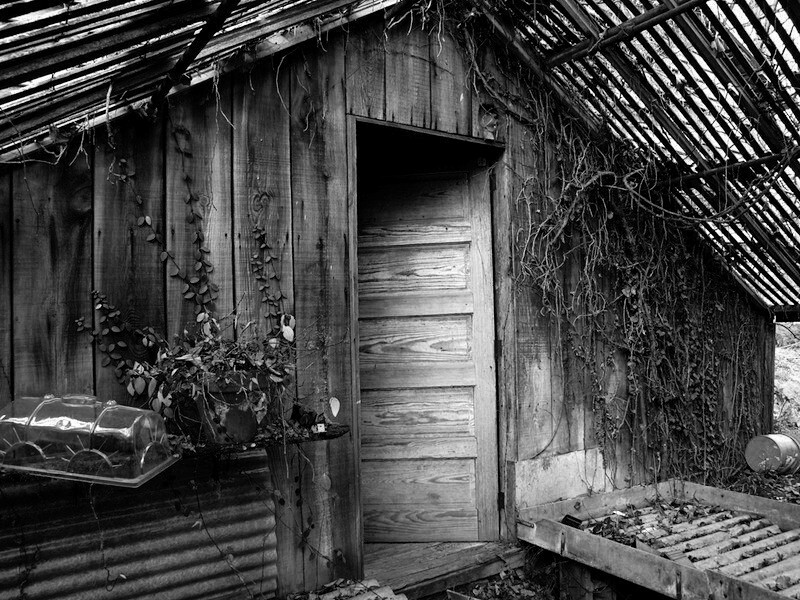 A sweet little hideaway shed would work for me. I could spend hours in here on a wet day listening to the rain on the tin roof. I definitely envision lots of clay pots in my shed. If you love potting sheds, I would love to have you join me on my garden shed board on Pinterest. How wonderful the business is still in your family. 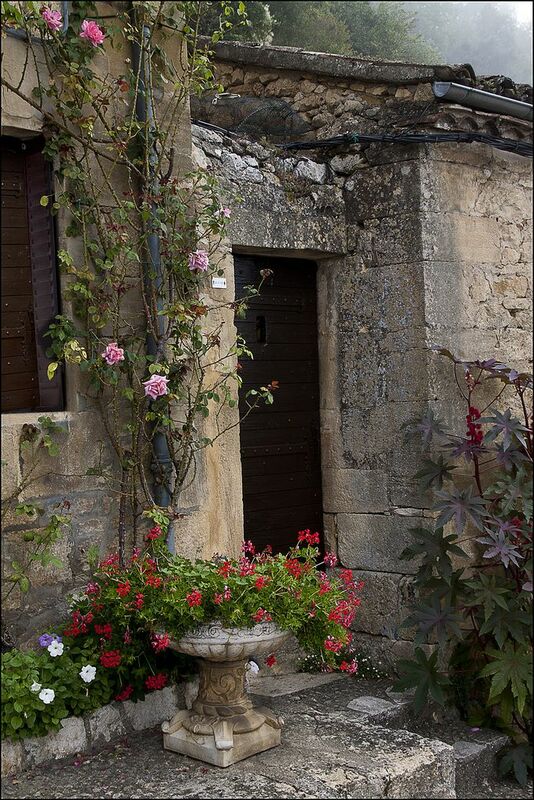 When my Mom died I spent the next few winter months planning my potting shed or however I should say my Garden Cottage which I have filled with gardening antiques that were overflowing in my house. It is such a peaceful place and was a place I healed. I hate that I am not out there as much as I use to. But feel free to come visit my old posts on my shed. The ones you show are all wonderful in their own ways. 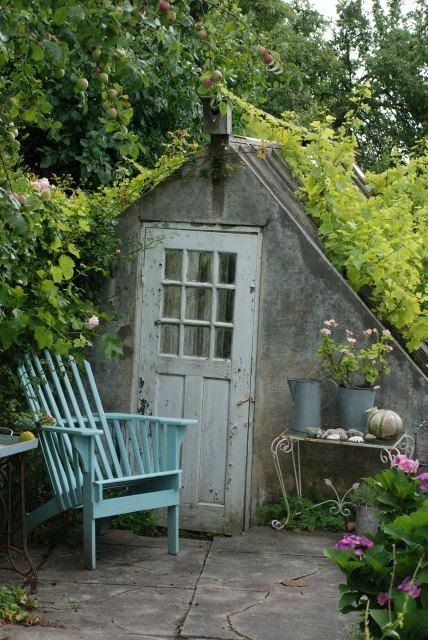 potting sheds definitely add charm to a garden, don't they? I love the one that looks like a small chapel. These are great I love the first and last ones the most. It's so nice that you have good memories of that time. You must have very special memories of those times..I love the potting shed dream. I checked out Pinterest and they are so sweet..
How nice that the florist shop is still in the family, and you can go visit and reminisce. Loved your photos. The little church one is probably my favorite. 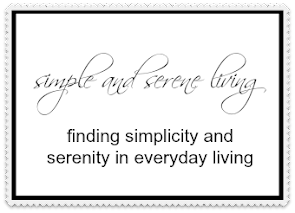 Wow, Laura ~ love your new header and the photographs your chose for your topic. I can’t wait to pin them. Also waiting for that garden shed in dreamland. Don’t give up, we will get there. What a wonderful childhood experience. 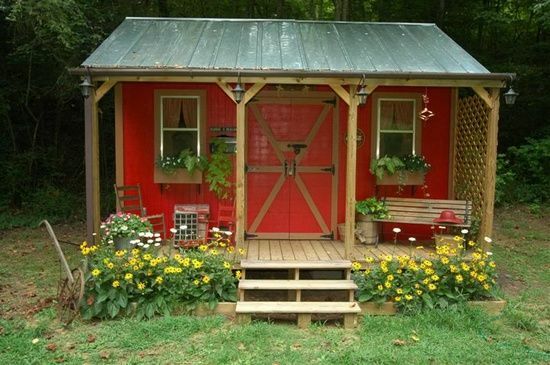 I love those garden sheds on Pinterest. I am lucky to have a potting shed and greenhouse. I'm always pinning more sheds to get ideas of ways I can improve my own. I love terra cotta! Potting sheds are wonderful. I think I'm lucky to have my potting bench! I've always wanted a planting shed and this really inspired me!! Love playing in the dirt! !